Are you one of those people who have trouble shutting their brain off when trying to sleep every night? Here are some tips which may help you overcome the distractions which keep you awake. With a little practice, you can learn to unwind and shut your brain off to sleep whenever you need to. Don’t tackle anything new at least one hour before you go to bed. Don’t look at your emails etc just before you go to sleep. When you read a new email, work on a project you’re dealing with in bed, your mind focuses on whatever issue or project it is that you were dealing with rather than relaxing your mind and preparing to sleep. This is especially problematic for creative people and those who are naturally prone to worrying. So what you need to do instead is that just make sure that you finish all business of the day at least a couple of hours before bed time. Better is NOT to bring business to your home. Leave the work at work. Home is the place where you relax, enjoy and spend quality time with your family. Just leave that “last hour before sleep” for yourself, to follow the next tip in creating a bed time routine. Bed time routine is important. Establish a steady bed time routine and stick to it. Remember how we train young children: It is a fact that a routine helps to train our brain. Conditioning our brain by repeating the same routine every night will help our brain to realize that it is time to sleep. We train our kids with the same method however as adults, we seem to forget how useful this can be. By creating a regular bed time routine for yourself, your body and your brain, you can easily get into the habit of taking cues that it is time to sleep and your mind and body responds to those cues. For example; taking a bath, reading a simple book or a light magazine or maybe a collection of short essays, poems, or short stories… You can use the time before bed for pampering yourself like using a massage pillow or maybe soaking your feet in a vibrating foot bath which can help you relax and shift your focus off of the days events so that you can shut your brain off to sleep easily. If you haven’t learned how to meditate by now, you should definitely give it a try. Learning to meditate is really a great way to relax your mind and body. It can help you to silence your brain and shut it off to sleep and relieve all the stress and the tension of the day. Meditation is an excellent way to relax. Especially meditating with visualization techniques can carry your mind away from all the hustle and tension of the day. Have you ever tried aromatherapy? Aromatherapy is another great way to help you calm your mind and get some healthy deep sleep. You can also use aromatherapy pillows, candles or night-time sprays which you can use to mist your bed sheets with a soothing scent of lavender (or some other scents) which will help you relax your mind and soul. Remember that essential oils promote relaxation and help in shutting your brain off to sleep. Environmental noise is often something that many of us get used to within time. However it still keeps the mind alert and affects our quality of sleep. So get rid of environmental noise that can distract you and keep you awake. Close the television or any sound source in the room you sleep. Watching Tv or listening to radio while trying to sleep is often a distraction from sleeping. It keeps you awake. Maybe that’s the reason you’re having trouble shutting your brain off to sleep in the first place. Just get rid of the Tv and the radio. Take these devices out of your bedroom. If there are some noises which you are not able to eliminate such as street noise; mask it with natural sounds like the ocean waves or similar types of soothing sounds of nature which can help you sleep easily. These suggestions can help you get a better night’s sleep. If you are still having trouble shutting your brain off to sleep even that you’ve tried all above, visit a hypnotherapist to learn self-hypnosis. Certified Hypnotherapist. 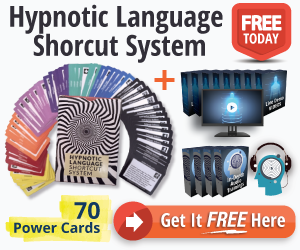 Founder of the HYPPRO.com "Client Management Software for Hypnotherapists". | Founder of his private practice Hypnotherapy Center in Istanbul: www.hypnotistanbul.com . Dedicated to help his clients with the aid of Hypnosis.